In the fall of 1890, a small group of local investors formed a corporation called The Kennard Novelty Company. Four months later, they were issued a patent on an odd amusement item – the talking board – which would soon be known by the name Ouija. The game would eventually pass to one man – William Fuld – and to his family, and for the next eighty-six years, it would be manufactured exclusively in Baltimore. Celebrating this history, and its Charm City connection, the Talking Board Historical Society will hold the first ever Ouijacon next week in Baltimore. To learn more about the genesis of the talking board, its controversial chronicle and the upcoming event, the Baltimore Post-Examiner caught up with Robert Murch – Chairman of the Board at the Talking Board Historical Society and the world’s foremost collector, historian, and expert on all things Ouija. BPE ~ When did you first become interested in the Ouija board? Murch ~ I became interested in ‘85 or ‘86 with the release of the movie Witchboard. Murch ~ I use it a lot, because I speak at these paranormal conventions and everyone wants to play with it, but we play for fun. I’ve never asked it for anything serious, except I do ask for lottery numbers, and it has not happened. That’s what I really want out of it. BPE ~ Please tell us a bit about the history of the Society and the Baltimore connection. Murch ~ Talking boards came about around 1886, before Ouija got its name, but the manufacturing began in Baltimore in 1890, so that’s what we’re celebrating. That’s where we get the 125th Anniversary. 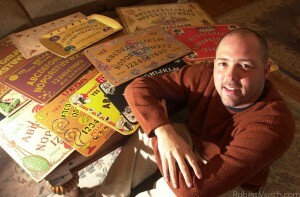 The Society got started in 2007 as a loose group of collectors and people interested in the history of the Ouija board. In 2014 we became a registered nonprofit. We currently have 11 board members and we’ll be opening it up to new members at the conference. 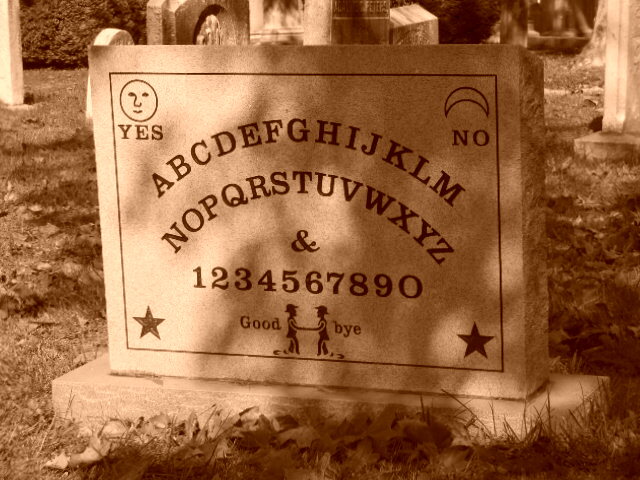 Our first association was the placement in 2008 of the Ouija gravestone for Elijah Bond – one of the founders of the talking board company. It’s one of the most requested gravestones in Green Mount Cemetery. People take their pictures with it and they’re all over the internet. BPE ~ This is the first convention of its kind, and you chose Baltimore because of the obvious connection. Murch ~ Yes. We’ll have between 100 – 200 people there from all over the country. That’s not a bad start for something that is so niche. By collaborating with so many different groups of people, all of the different Baltimore organizations such as the Maryland Archives and the National Archives, we’ve been able to write its history and show what an amazing force William Fuld and his family were. They were just incredible marketers. We wouldn’t be talking about this game were it not for their ability to both market the board and keep it current with each new generation. BPE ~ Critics maintain that when you use a Ouija board, you are not talking to the dead, but to demonic spirits? How do you respond to that? Murch ~ There are three ways that people hold that the movement on the board actually happens. Scientists posit it is the ideomotor response. That’s basically the marrying of the small muscles in your hand that don’t want to stay still, and your subconscious which when it sees things, sees everything. Your conscious mind can’t function that way, so it absorbs things that are unimportant but it maintains them in your head. When you use a Ouija board, scientists say those small movements in your hand become fluid because you want the board to work. You feel like it’s moving beyond your control, when it’s actually you that is moving it. Then there are psychics who believe that what’s happening when you sit at a board with other players is that you’re making some type of telepathy; there is some type of psychic connection going on. And then there is a huge segment of the population who believe that the talking board parts the veil to the other side, and the messages you get are from those who have passed on. That’s where they come from, and make no mistake about it, even though the talking board was sold as a toy, it came out of the spiritualist movement. 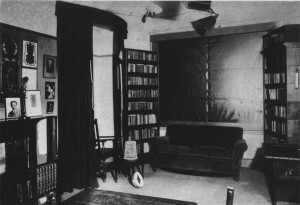 Its intention was, originally, to talk with the spirits. BPE ~ This would have been what was happening in parlors after the Civil War? Murch ~ Exactly. After the Civil War, when there was such massive death, and death became such a part of everyone’s life. People went off to war and just never came back, so you wondered what happened to them; how did they die? You asked questions to the Ouija board that couldn’t be answered in any way else. They lived in such an uncertain time, and people had so many questions. The Ouija board fulfilled that for them. Now, 125 years later, we have a hit movie which has introduced the board to an entirely new generation. BPE ~ I can see the connection, but when I think of nineteenth century seances and spiritualism, it usually involves channeling or a crystal ball. Don’t buy that board. Buy me! That kind of talk has lived on, and we’re hearing those same things today. But the sense of danger; of the unknown; the possibility that you might be able to part the veil is what causes people to still play. Loss and death and how we deal with those things has changed over the years, but the fact that it happens hasn’t changed. What keeps us the same is that we all die. BPE ~ A moment ago, you mentioned the current generation. 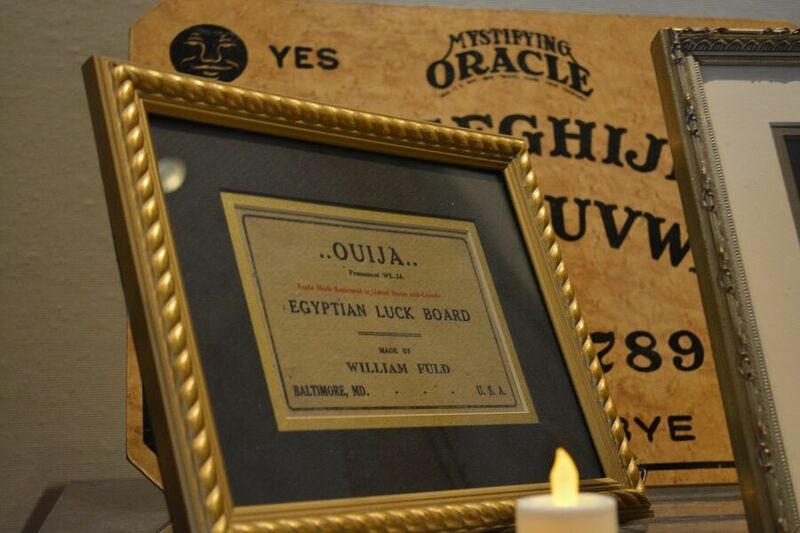 This growing interest in Ouija, and other dark oracles, does seem to be taking off. I’ve read that the Pope has been speaking out on the subject recently, even talking about vampires. Murch ~ Absolutely. It’s part of pop culture and that’s the amazing thing about the Ouija board. There were many different spirit communication devices which were used to talk with the other side, but very few of them have survived. 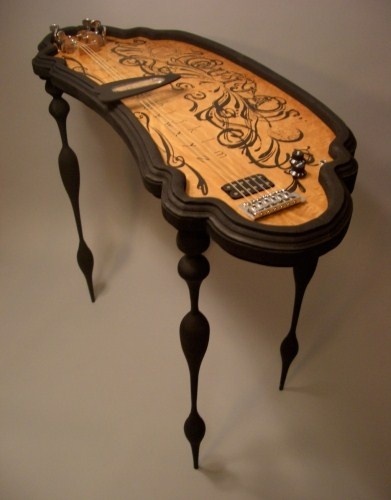 The Ouija board has maintained its popularity through many generations, including this latest one. Maybe that is because the first text messages were sent through the Ouija board. BPE ~ When you or other members of the society have used the Ouija board, do you connect with the same spirit or spirits? If so, have they ever told you their name? Murch ~ We have used the boards at paranormal conferences, and asked ‘What is your name?’ ‘When did you die?’ ‘How old were you?’ But we have never been able to prove the answers that the Ouija board gave. That said, I believe, if it is possible to speak with the dead, then why wouldn’t a Ouija board work? The question is – can you speak to the dead? I don’t know! I want it to be true; maybe because it gives me the opportunity to say goodbye to someone who has already passed, or to apologize for the last thing I said to them. Or find some kind of closure. Or maybe just to prove that my life is worth more than the 80 years I’m gonna get here. I’m a skeptic. But I want to be convinced. I’m open to it being true. BPE ~ Sometimes you hear stories about people who have what they call a familiar spirit. Murch ~ Right. Absolutely. My experience has not been the norm; there are so many different experiences. At Ouijacon, we will have people who say they believe they have contacted a demon named Zozo who basically ruined their life. People all over the internet believe they have contacted Zozo through the Ouija board. We’ll also have someone in psychology who basically believes that by using the Ouija board, you are talking to your higher self; your subconscious. You are getting in touch with this higher information that is already inside of you. So we’re exploring this issue from soup to nuts. We want it to reflect the very diverse beliefs behind the Mystifying Oracle. BPE ~ Have you ever asked the spirits a question you already knew the answer to, and found they were wrong? Murch ~ Oh, of course. Tons of stuff. Like if I ask for someone’s middle name, I know it’ll spell something else out. But it’s not all-knowing. If it was, I’d have those lottery numbers! Then you’d be interviewing me on a totally different story! BPE ~ What do you think of the online boards? Murch ~ I’ve seen them, but I don’t think you get the same kind of experience that you do when you sit at a board with another player. It’s a collaborative experience, and when it moves, you look at the other players. You can hear a pin drop and sense the felt moving across the board’s surface. You get a sense of mystery which you don’t get playing a board online. BPE ~ Have you explored other avenues of divination, such as tarot cards, I Ching, horoscopes or channeling? Murch ~ I haven’t, though one of our board members, Brandon Hodge, is an expert on other communication devices – not necessarily the tarot – but other devices that people have used. Ouija has always captured my imagination, and uncovering the story behind its inception and the people who brought it to us has always been key to me. BPE ~ One last question, and this gets back to the critics: Have you, or anyone you know, ever had a bad experience with the board? We give the Ouija an incredible amount of power that we do not give any other spirit communication tool. Or, any paranormal investigative tool, such as an EVP recorder or K-2 meter. When those devices go off, no one says the devices are bad, but when that happens with Ouija board, then the board gets the blame. I like to call people Ouijastitious, because legends have been built around the Ouija board. Ouijacon takes place April 22-25 at the Baltimore Harbor Hotel, 101 West Fayette Street, Baltimore, Maryland 21201. 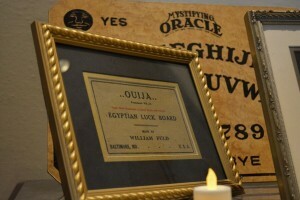 On Friday, April 24 the city will unveil a new plaque commemorating the contribution of Helen Peters Nosworthy, the medium who gave Ouija its name. The unveiling will take place at 2:30pm at the Baltimore Harbor Hotel. More information about the event may be found by visiting the Talking Board Historical Society. My opinion is if you use a ouiji board then go around claiming demonic possession or ghostly visitors that won’t go away then you shouldn’t have messed with the occult to begin with, you believe in demons/angels (skeptic or cynic you may be but there’s a still a seed of hope in the paranormal in almost all of us) therefore you open yourself to being trick into experiencing demonic encounters, or just plain spiritual episodes that scare you so instead of blaming the only real person responsible (yourself) you scapegoat the object you say you didn’t think would work in the first place. Hypocrites are not valid reviewers for just about anything but most especially when dealing with the occult.